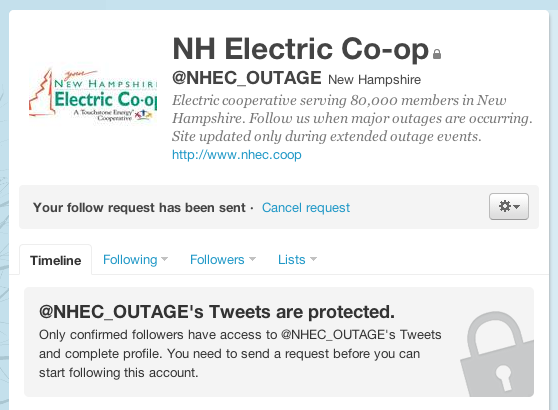 @NHEC_OUTAGE, a Twitter account for the NH Eelectric Coop, is marked Private. 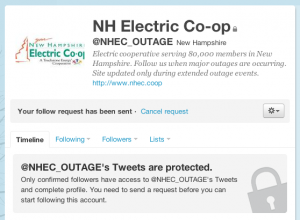 Calling the NH Electric Co-op's 800 number to report an outage allows you to reverse-lookup a customer's street address based on their phone number. Somehow, I feel like they value their own privacy far more than they value mine.